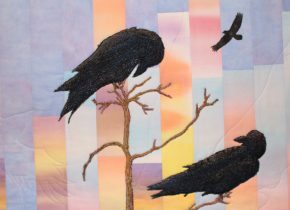 Inspired by a Raven I saw perched in the very top of a scraggly tree in my neighbor’s yard. Inspired by a photograph taken in Sedona, AZ. I saw a Raven perched in the very top of scraggly tree in my neighbor’s yard. I used his different poses to create two of them. 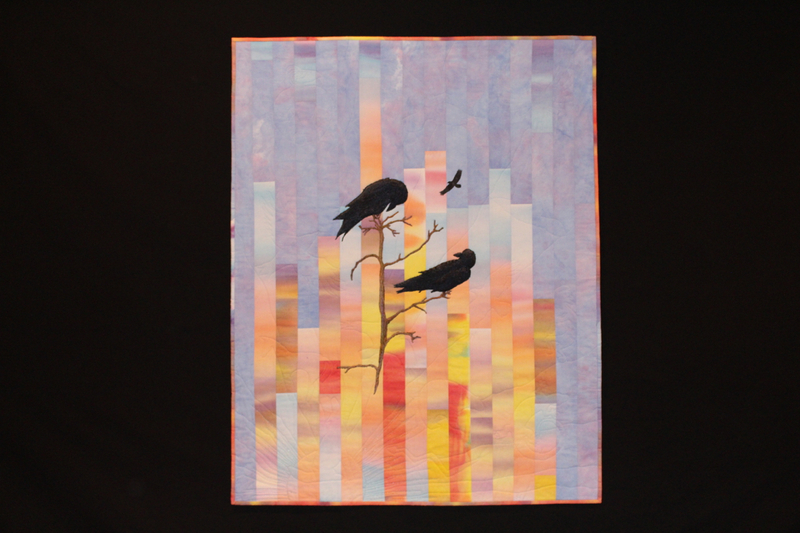 The background was hand painted with fabric paint and then pieced. 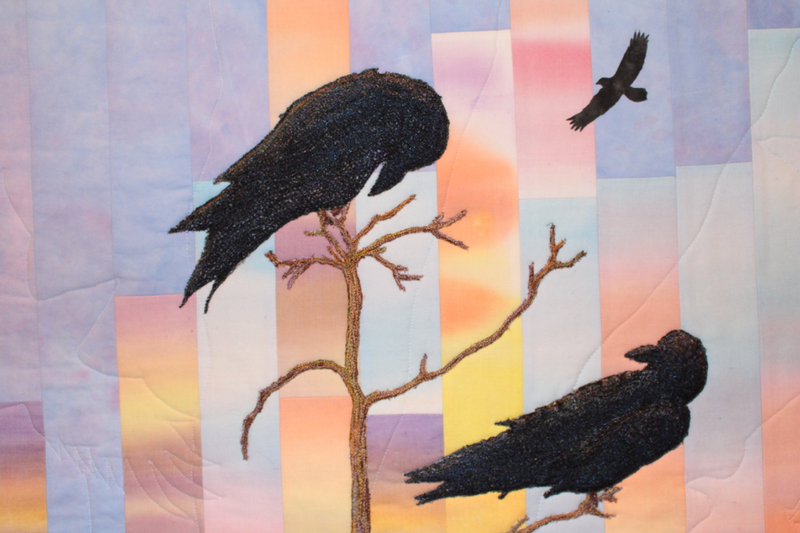 The large Ravens and the tree were all thread painted separately and then stitched onto the background. 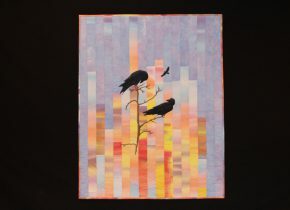 The piece was quilted on a domestic sewing machine.